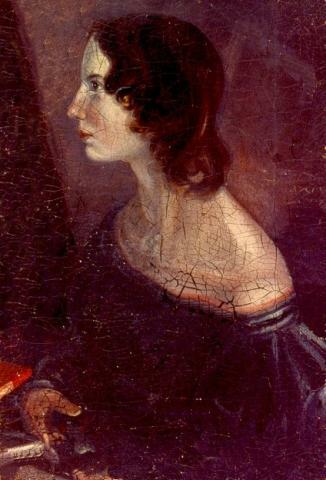 It is certain that Villette was much more popular in America than it was in England. Smith, Elder & Co seem to have published just two editions of the novel in the 1850s. The second one was published in 1855. Harper & Brothers, from New York, published six editions in the 1850s. Apart from the two previously mentioned books of 1853 they also had an edition in 1855, 1856, 1857 and 1859. There is also an 1857 edition of Derby & Jackson from New York & Cincinnati. 'Villette' rocks Brussels, or was there really a scandal in the city? It has been suggested, or rumoured, that there was a sort of scandal in Brussels following the publication of Villette. The big question is of course whether this can be true, and what it would have been like. In this article I hope to get somewhat closer to answering this question. In the previous articles I wrote about the editions that would have brought the novel to Brussels. We can assess the likelihood of a scandal with the help of some of this new information. It can allow us to say more on when it might have happened, for example. It is tempting to link the publication of the 1855 La maîtresse d’Anglais to the Hegers, and Brussels in general, learning about Villette, as Spielmann does. However, I would say it is likely that they had their first Villette visitors before the Revue Britannique started publishing La maîtresse in March 1855. 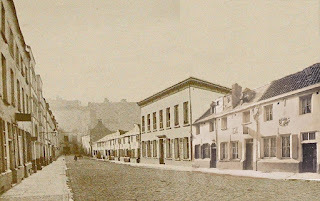 Right from the beginning it was clear that the novel was situated in Brussels, as is shown by the review of it in The Athenaeum of 12 Feb 1853: “‘Villette’ is a narrative of the heart-affairs of the English instructress and the Belgian professor of literature in a school in Brussels.” On the same day it said in The Spectator that “Villette is Brussels, and Currer Bell might have called her new novel ‘Passages from the Life of a Teacher in a Girls’ School at Brussels, written by herself.’” Charlotte really made it very easy too to find out that the pensionnat was the Pensionnat Heger. Brussels Bronte Group members were treated to two delightful talks on Saturday, February 20, 2016 -- Ola Podstawka on the influence of Constantin Heger on the heroes in Charlotte Brontë's novels, and Jolien Janzing on her historical novel Charlotte Brontë's Secret Love. 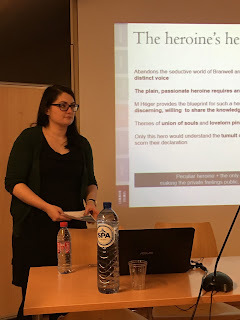 In her talk, ``Conjuring up Monsieur Heger'', Ola explained how the professor Charlotte found in Brussels had such a profound impact on her life and her art, illustrating how elements of M. Heger's personality are present in all the main heroes of Charlotte's novels. Ola started by examining the heroes and heroines in ``the infernal world of Angria'' -- the juvenilia written by Charlotte and her brother Branwell before Charlotte came to Brussels in 1842. Most of the heroines are vapid beauties and the heroes cruel, handsome rakes, and the narrators male. Eventually, Charlotte develops a new heroine with hidden depths -- Elizabeth Hastings. But she remains single for want of a suitable man. It’s 1860. Patrick Brontë tells the story of his lifetime. It’s his last spring. He is alone. He is strong but a man of sorrow. He has seen his wife and six children die. His one son-in-law is the only family left to him in England. 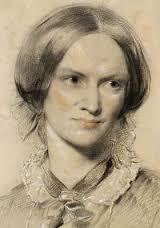 Strangers come to his house all the time because of his three famous daughters, the Brontë sisters. Even though we know every word of this story, Vincent Bijlo tells it in his own inimitable way. With suprising links to our own time, both serious and ironic. The story gets even better, because Mariska Reijmerink weaves poems, mostly of Emily, through it by singing them beautifully with music she composed. They are accompanied by The Rossettis, musicians on piano, violin and drums, who really know what a poem needs. If you understand Dutch and are anywhere near (or even not so near) the places they perform go and hear them! Soon after Villette was published in January 1853, it was translated into other languages. German and Russian translations were the first, in the same year. A Danish version followed, in the winter of 1853-1854. A Dutch translation was published in 1856. But that was it, as far as is known, for a long time. I could find no early Villettes in other countries. This article gives a description of the early (non-French) translations. Villette got to three editions in Germany in 1853. Along with the aforementioned English language Tauchnitz Villette (in two volumes) there were two translations. 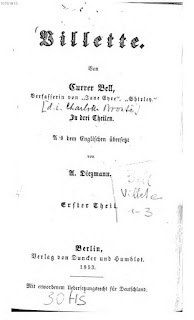 Tauchnitz registered the novel in Germany in December 1852. On 24 February 1853, the Allgemeine Bibliographie Deutschland had a notice about the publication of the Tauchnitz Villette. That’s about one month after the Smith, Elder & Co Villette in England was published. 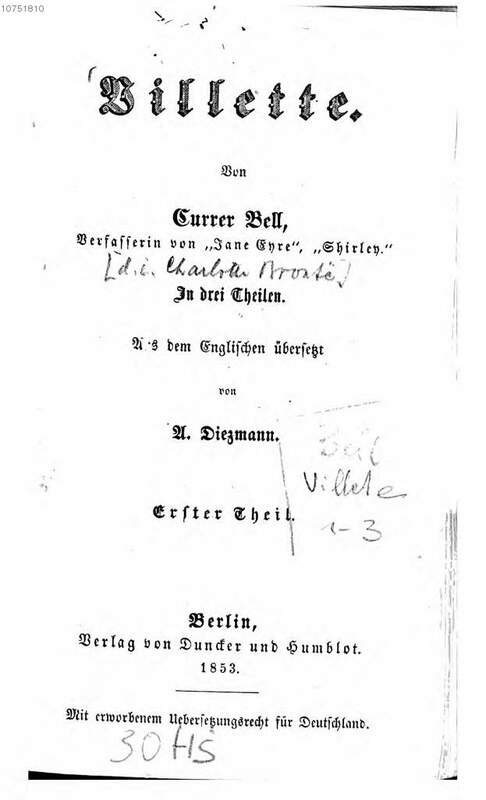 In 1853 Dunker und Humblot from Berlin published a copyrighted German translation of Villette (in three volumes). “Mit erworbenem Űbersetzungsrecht für Deutschland,” it says on the title page, ‘with acquired translation rights for Germany.’ The translation was done by Johann August Diezmann, who also did other translations of English works, like Thackeray’s Esmond, and French works, for instance of George Sand. He wrote several books about Goethe as well, among a number of other works. The Bayerische Staatsbibliothek has digitized this work, so here you can read Volume 1, Volume 2 and Volume 3. The southwestern German state of Württemberg, in which Stuttgart is situated, was not part of the Zollverein, the group of German states that had accepted the Anglo-German copyright treaty. The Berlin Villette could not therefore claim copyright for all of Germany, which it did. The Stuttgart translation (in two volumes), doesn’t mention anything about copyright, and must be regarded as a pirate (although it’s not an illegal version). This translation was published by Franckh from Stuttgart. The translator was Christoph Friedrich Grieb, who also did a translation of Thackeray’s Esmond, as well as his Vanity fair. Grieb also wrote A dictionary of the English and German languages, among a lot of other works. For several years he did live in America, before going back to Germany, and settling at Stuttgart. There he also wrote an anti-slavery novel, Sklavenleben in Amerika.